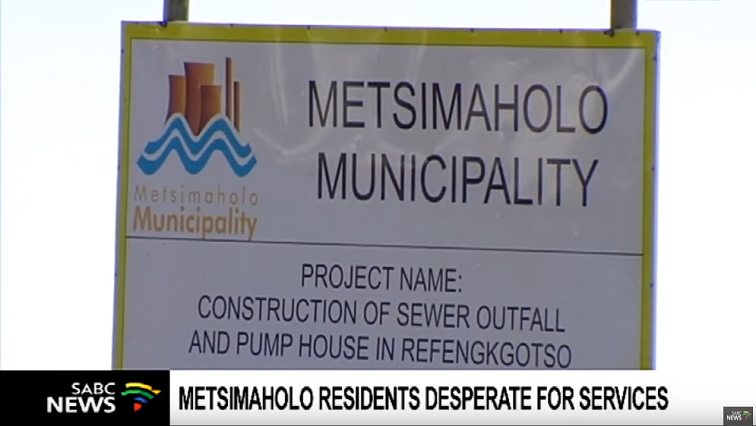 Metsimaholo residents desperately deprived of service delivery - SABC News - Breaking news, special reports, world, business, sport coverage of all South African current events. Africa's news leader. Political parties unwilling to work together in Metsimaholo Local Municipality in the Free State have resulted in roads in bad condition, unfinished RDP houses and a R22-million multi-purpose centre. Long running political battles in Metsimaholo Local Municipality in the Northern Free State have left residents desperately deprived of service delivery. The South African Communist Party (SACP) led coalition government has, since the last local government elections, struggled to reign in participating political parties. Political parties unwilling to work together in Metsimaholo Local Municipality in the Free State have resulted in roads in bad condition, unfinished RDP houses and a R22-million multi-purpose centre that is incomplete. Neglected projects have also negatively impacted the lives of residents. Another resident Vusile Moqwathi says “I studied towards a soccer coaching certificate hoping that I would do my practical’s here at this complex, now that it is incomplete I can’t get my certificate; it is holding me back. There are many young people here who would be great soccer players but now they are smoking nyaope. In desperate need for shelter, some have resorted to building sacks in their yards. “There are many unfinished RDP houses, some completed the houses themselves but others like my uncle died waiting for their houses. Others here don’t even have electricity” says Mollelo Tshume a resident from Metsimaholo. The SACP in the province have conceded that there are server service delivery challenges but it believes the coalition is doing fairly well. The ANC on the other hand believes that it could do better alone. This entry was posted on 22 Mar 2019,09:04AM at 9:04 AM and is filed under South Africa, Homepage Featured Story Slider. You can follow any responses to this entry through the RSS 2.0 feed. Both comments and pings are currently closed.